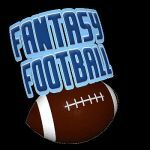 Fantasy Football Draft Guide – Top 100 Player Rankings – Are you in the market for fantasy football draft info? Or Player Rankings + Top 50 player cheat sheets for your 2010 fantasy draft? Fantasy Football adictees – rejoice. It is time to once again obsess over ranking and predictions in preparation for the upcoming season. Here is a list to give you something to chomp on. Let me know what you think – I know you disagree with me on a few! 1. RB Adrian Peterson – Min – Assuming that AP has rectified his fumbling issues, this could be the best season of his career. There is no Chester Taylor in Minnesota to threaten Peterson’s touches. 2. RB Chris Johnson – Ten – The contract issues are behind him and Johnson is ready to dominate once again. He’s a threat rushing and receiving and could be the most productive fantasy player in the game this season. 3. RB Maurice Jones-Drew – Jac – He’s the only real threat on the Jaguars and will be responsible for more than his share of yardage and touchdowns this season. MJD is solid. 4. RB Ray Rice – Bal – Rice is ready to assume the load in Baltimore and with Anquan Boldin keeping the defenses honest, it will open up more room for Rice. In Points per reception leagues, he’s gold! 5. RB Michael Turner – Atl – As long as Turner is healthy he figures to be near the top of the league in touchdowns. There’s not much competition for touches in Atlanta so Turner will roll. 6. RB Frank Gore – SF – Gore is the center piece in an up and coming offense. He’s caught and rush with amazing results for sure. Add in an easy schedule and Gore is a no brainer. 7. RB Rashard Mendenhall – Pit – Mendenhall will be leaned upon heavily this season especially since Ben Roethlisberger is suspended for the first month of the season. He’s an every down back that could receive 350+ touches this season. 8. RB Steven Jackson – StL – Jackson is a bit of an injury risk but if he stays healthy, he could be a steal at #8. He will be heavily used this season, guaranteed! 9. RB DeAngelo Williams – Car – Carolina had the best rushing game in the NFL last season and there is no reason to think that they won’t this season. He and Jonathan Stewart are solid options, but Williams is slightly better. 10. WR Andre Johnson – Hou – Houston is projected to have a top tier offense this season and Johnson is the best weapon on the team. He’s averaged over 100 catches in the last few seasons and is arguable THE MOST talented wideout in the game. 11. RB Ryan Matthews – SD – This may be a bit of a stretch but Matthews is projected to get 250-300 touches in his rookie year. In a high powered offense with an easy schedule, Matthews could surprise and post Top 10 fantasy numbers. 12. QB Aaron Rodgers – GB – The only thing missing on this team was a solid offensive line. The draft rectified that! Rodgers could improve upon his 2009 season that saw him become the most potent fantasy option in the NFL. 13. QB Drew Brees – NO – Brees is not far behind Rodgers and will throw for a minimum 30 scores. The Saints return largely the same offense that tore up the league last season. 14. RB Shonn Greene – NYJ – Greene is the number one option on a run-first offensive team. If you think that LaDainian Tomlinson is a threat, take a look at his production over the past 3 or so years. 15. WR Randy Moss – NE – Moss is a stud, plain and simple. Add in the fact that Tom Brady is healthy and that Moss will be looking for a new contract next year and things are looking up for Randy’s production. 16. WR Reggie Wayne – Ind – Mr. Consistency disappointed a little last season but he remains one of the steadier, low risk players in fantasy Football. 17. QB Peyton Manning – Ind – Manning will throw for 4000 yards and 30 touchdowns again this season – ho-hum! 18. WR Larry Fitzgerald – Ari – Fitzgerald takes a step back in the rankings this year because of Matt Leinart. Still, there is no denying that he is one of the top 2 or 3 talented receivers in the NFL. 19. WR Calvin Johnson – Det – Upside, upside! Johnson had good numbers last year despite a rookie quarterback and a rash of injuries. Healthy this year, confidence in Matthew Stafford is sky high, making Johnson an intriguing option. 20. RB Ryan Grant – GB – People are down on Grant but his production can’t be overlooked. He is the unquestioned #1 RB in a high powered offense and he likely won’t be challenged all that much for touches. 21. RB Cedric Benson – Cin – Benson was a beast last year but he didn’t score a whole lot. The Bengals should score more points this year and with Benson shouldering the load, he’ll get his opportunities to score. 22. RB Pierre Thomas – NO – Thomas was a victim of injury last season and also of his coach’s decision to rest players at the end of the season. When healthy, Thomas is by far the best back on the Saints. He’ll get a ton of garbage time scores for sure. 23. RB Jamaal Charles – KC – He’d be ranked higher if the Chiefs didn’t pick up Thomas Jones in the off season. Charles is an elite talent who catches the ball as well as he runs it. 24. WR Greg Jennings – GB – It wasn’t a great year for Jennings last year but he’s projected to be “the man” in Green Bay this season. He had a lot of targets but didn’t do a whole lot with them. That will change this year. 25. WR Miles Austin – Dal – Dallas is poised to be at or near the top of the NFL in offensive statistics. Austin is Romo’s favorite target and is a lock for 80-90 catches, 1200-1300 yards and at least 12 touchdowns. 26. WR Roddy White – Atl – Atlanta is an up and coming team and White is certainly an elite talent. He is good for 90-100 catches and 11-13 touchdowns if not more. 27. WR DeSean Jackson – Phi – Is there a more dynamic player in the game? Kevin Kolb doesn’t hurt Jackson’s value at all. In fact, it just may enhance it! 28. RB LeSean McCoy – Phi – Brian Westbrook is gone leaving McCoy to shoulder the load in Philadelphia. He will get nearly all of the touches out of the backfield and will be very productive for sure! 29. RB Knowshon Moreno – Den – Like McCoy, Moreno should see the majority of the work in the Denver backfield. He is the best player on the team and will need to be ridden hard in order for the Broncos to have any success at all this season. 30. RB Beanie Wells – Ari – The Cardinals certainly are not a passing team anymore. Warner and Boldin are gone, leaving the necessity of a strong running game. Well proved to be the most effective runner for the Cards last season and is ready to build on a productive rookie season. 31. WR Sidney Rice – Min – If Favre returns, his favorite weapon will be a stud. Rice emerged last year as a top tier receiver and with a year of pro football under his belt, his numbers could be better this season. 32. QB Matt Schaub – Hou – 4000 yards and at least 30 touchdowns is on the horizon for Schaub assuming he stays healthy. It would be no surprise if he ends up the best quarterback in the NFL this season. 33. QB Tom Brady – NE – Healthy and ready to tear up the league once again, Brady will have a motivated Randy Moss and a healthy Wes Welker to throw to. Brady’s command of the game is second to none – he’ll be a stud once again guaranteed! 34. WR Marques Colston – NO – Colston is the number one option in one of the top 3 passing games in the NFL. If he can find some consistency, he’ll be a true stud. Colston is a minor risk but one that I’d be willing to take. 35. WR Brandon Marshall – Mia – Brandon Marshall’s expectations are sky high this season. Chad Henne did pretty well last season in the absence of a true #1 receiving threat. Marshall did well with Kyle Orton last season and Henne is far better than Orton. 36. Anquan Boldin – Bal – In an offense that saw Derrick Mason flourish for years, Boldin is a welcome sight. Joe Flacco will be better and with a strong running game for opposing defenses to worry about, Boldin will see defensive holes that he’s never seen before. 37. TE Antonio Gates – SD – Steady and productive even when not 100%. Gates is healthy for the first time in an eternity and in a prolific offense, there’s no reason that his numbers won’t be great. 38. RB Joseph Addai – Ind – Donald Brown appears to be little or no threat to Addai. Addai will still see the bulk of the carries and will be called upon to finish off a lot of scoring drives for the Colts. He’s a risk but one that could pay off hugely. 39. RB Jonathan Stewart – Car – Carolina is going to run the ball, no doubt about it! He will split carries with DeAngelo Williams but likely still get 15-20 touches per game. Stewart has a history of making the most of his opportunities. 40. TE Jermichael Finley – GB – This may be a bit of a reach but consider how he ended last season and the chemistry that he has with one of the best quarterbacks in the game. Finley could end up this year’s best fantasy Tight End. 41. TE Dallas Clark – Ind – Clark is solid and he’s a trusted weapon of a Hall of Fame quarterback. Clark will be a huge part of the Indianapolis offense again this season. 42. QB Tony Romo – Dal – Top 5 quarterback guaranteed! 4000 yards and 30 touchdowns is not a stretch in the least. 43. WR Hakeem Nicks – NYG – Nicks had a productive 2008 and he should improve immensely this year. Eli Manning loves him – he could be a steal. 45. TE Vernon Davis – SF – Some feel that Davis should be the first Tight End taken in drafts but I’m not quite ready to crown him King just yet. Still, he should produce better than any WR that you are going to get this late in the draft! 46. TE Jason Witten – Dal – Whitten will be a factor, no doubt about it. 47. RB Matt Forte – Chi – Hard to believe that Forte has fallen this far. With Chester Taylor’s arrival, he may be the second best running back on the team. 48. RB Jahvid Best – Det – He is in line for a lot of work in an emerging offense that has an easy schedule. Kevin Smith WILL get hurt and Best will be the man for the Lions. 49. QB Philip Rivers – SD – Maybe 49 is a little harsh but Rivers doesn’t thrill me. He’ll probably be a Top 15 Fantasy producer that is available at 49! 50. WR Chad Ochocinco – Cin – I have a feeling that Carson Palmer is going to be better this year, he has to be! Ocho is a big time player and a pretty good dancer too (apparently!). Basic Fantasy league points are factored into my rankings..enjoy!! And check back on a weekly basis for continuing updates. Good rankings list here. I like the selection of no QB’s in the 1st round, which seems to be a popular choice these days. Also looks like you are high on both Shonn Greene and Pierre Thomas just like me with both rated higher than average. I like both of those guys too. Pretty nice list. I like Grant a big higher and Matthews lower. Grant is the number one back on one of the NFL’s best offenses. He should have a great year. I would be caution with Matthews, the Chargers are certainly a pass first team and Sproles should get a decent amount of touches at RB too. I wouldn’t take Matthew’s before the end of the second round.